Tree Of Hearts Times 3 - Week 6, originally uploaded by Judi FitzPatrick Studio. 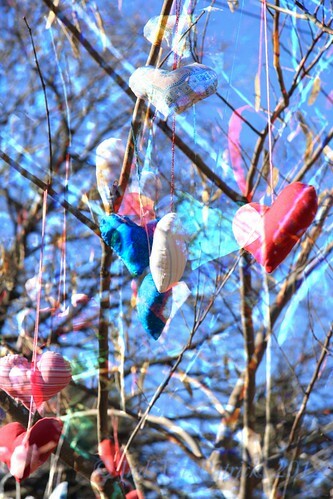 3 images of a tree covered with fabric hearts merged together in GIMP. I love it. I can see it as a photograph for wall art and as a card! Beautiful colors and shapes Judi. Nice work!